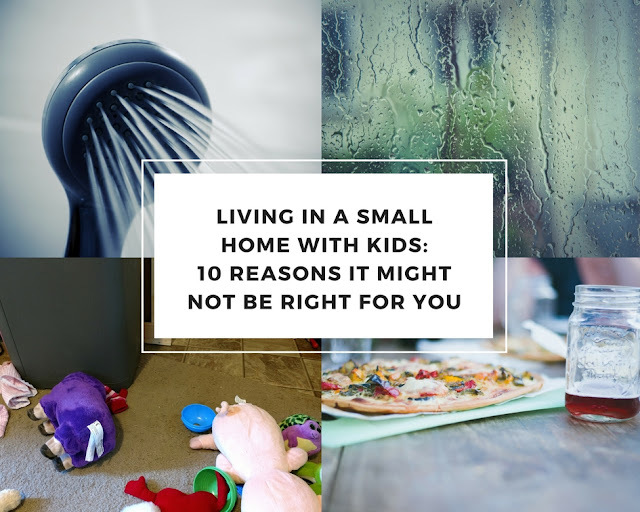 Back in November I wrote about some of the things that needed attention in our tiny house after ten years of living in it. Between our broken dishwasher and our broken faucet handle, kitchen clean up was not often a pleasant task. 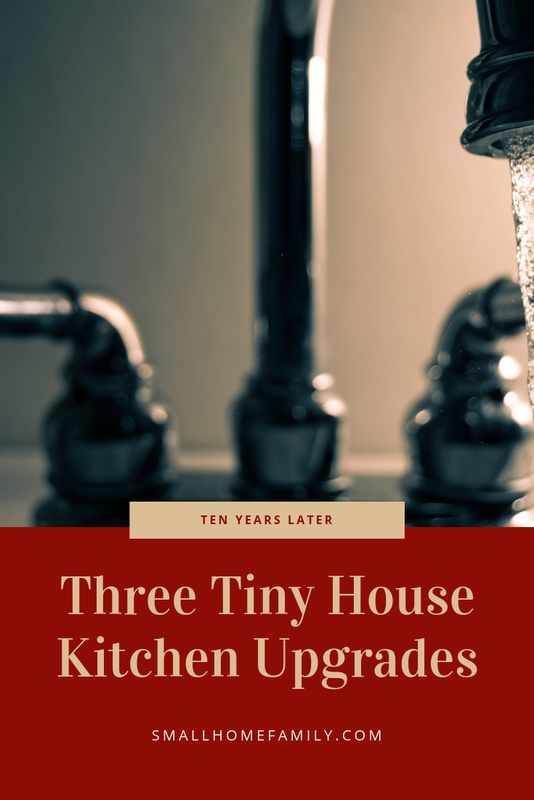 We're pleased to report that some major improvements have taken place since then, and we're excited to share our recent tiny house kitchen upgrades with you today. 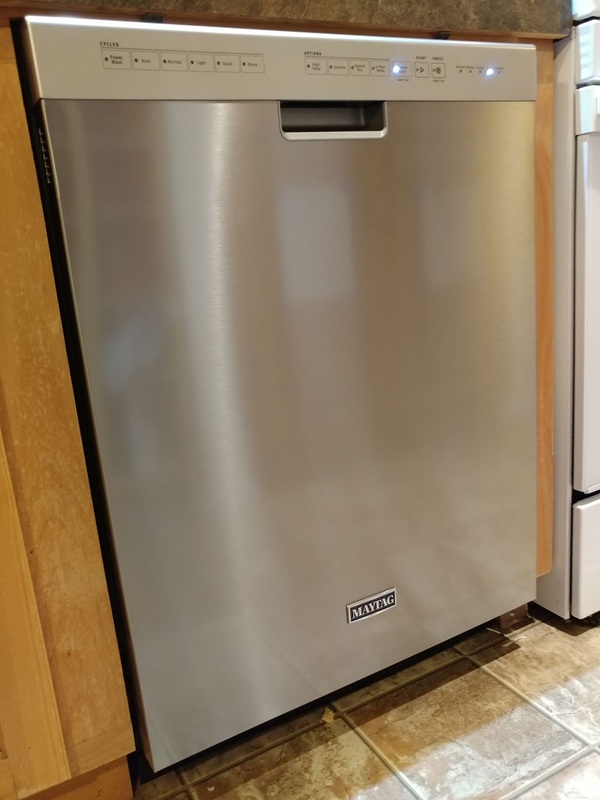 After falling out of love with our previous Whirlpool and GE dishwashers, we decided to go with a Maytag this time and opted for one with a self-cleaning filter. We also (gulp) opted to begin the process of converting our appliances to stainless steel, so our overall kitchen aesthetic is somewhat lacking at the moment with three quarters of our appliances still being white. In the long run, though, I think we'll be pleased with the decision. 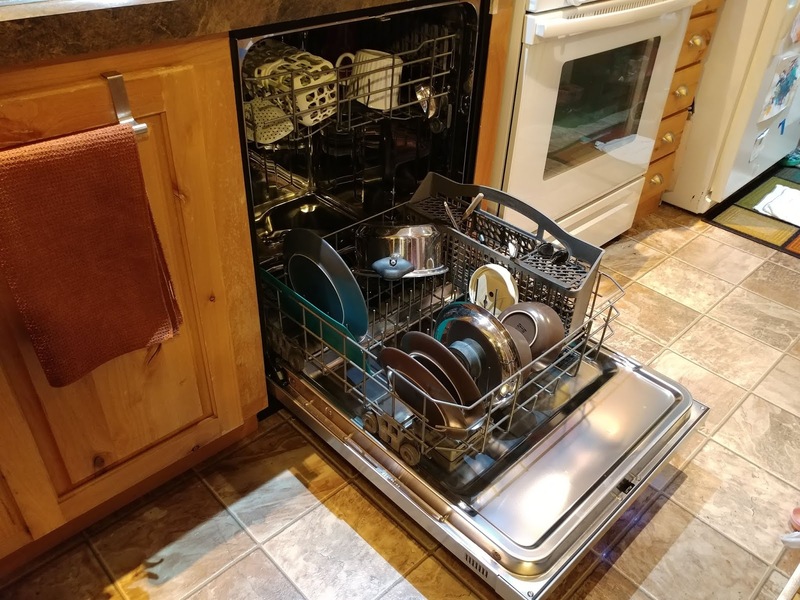 The new dishwasher certainly does look nice! 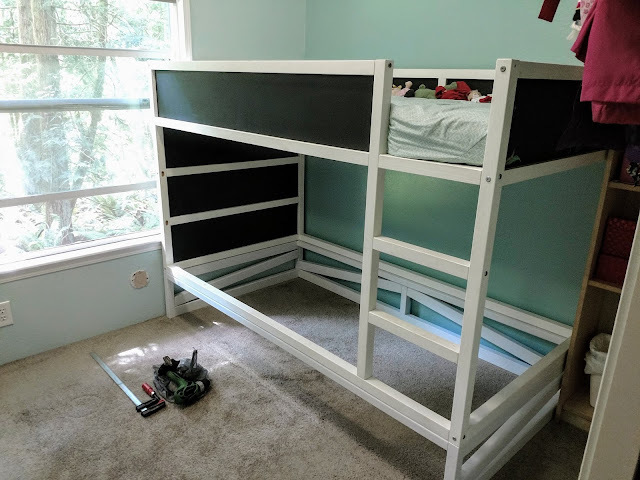 After a few mishaps during the installation process (including water running all over our kitchen floor), we managed to get it up and running, and we've been very happy with the performance of this new machine. It cleans better than any dishwasher we've used in the past. We have discovered, however, that the manual is right when it says that dishes won't dry properly in this new energy efficient model without the help of rinse aid. I can definitely tell when the rinse aid receptacle needs to be refilled on this machine. Shortly after my dad helped us install the new dishwasher, he also switched out our faucet and installed a new under-sink in-line water filter for us. After nearly ten years of dealing with a broken handle, using the new faucet is amazing. I only wish we would have taken care of it years ago! One of my favorite upgrades has been the new water filter we installed under the sink. Because we opted to go with a pull out faucet, we had to choose a new type of filter as well. We purchased a long-term inline filter in order to simplify things, and so far we're loving it. 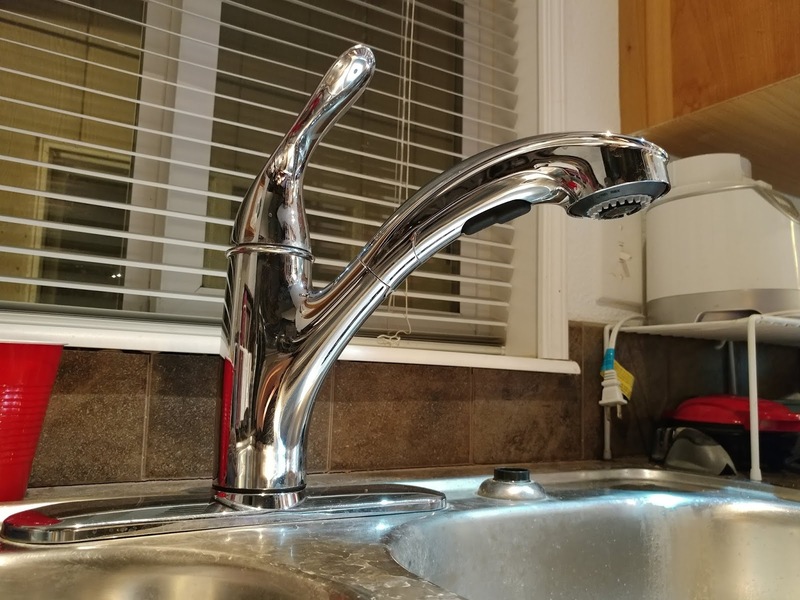 With our previous set up, we filtered water as it came out of the faucet with a faucet attachment, but with the new filter hooked up directly to our cold water line, everything is much more streamlined. When we want drinking water, we just turn on the cold tap, and we have a full stream of filtered water ready to fill our cups. According to the product description, this particular filter is intended for city water only, but we decided to go ahead anyway. 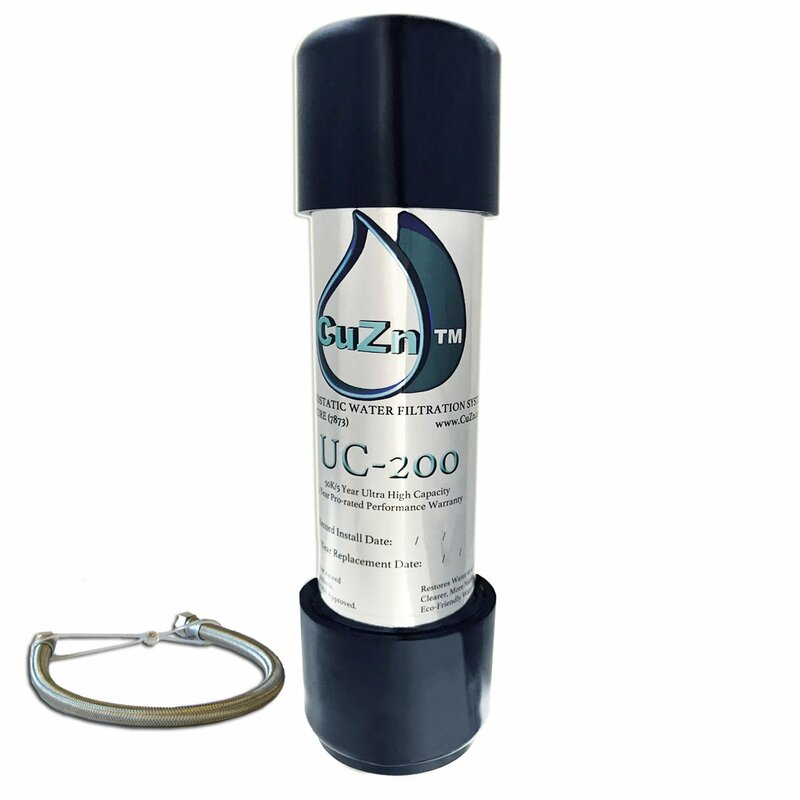 Our well water, though hard and unpleasant tasting, is completely safe to drink. The filter may deteriorate more quickly than it would on public water, but if we get even a few years out of this ten-year filter we'll be more than happy. 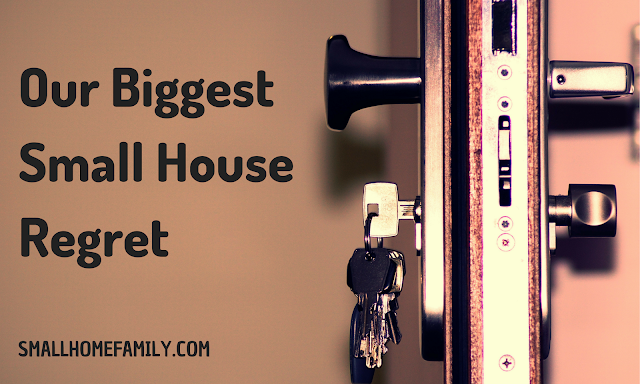 Being homeowners involves chasing down neverending to-do lists, and it feels good to strike a few more items off of ours! Make sure you never miss a post: follow us on Twitter, like us on Facebook, or subscribe to our email list by visiting the sidebar on our homepage.